Every year, I review all the great places I have investigated and the evidence I have captured. I also choose and share my top favorites. 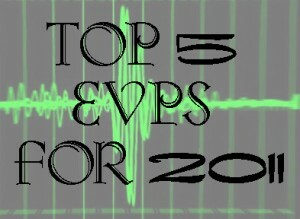 In 2011, I had some really great EVPs so it was difficult to choose, however, I’ve managed to choose my top five favorite EVPs for 2011. Dave and I were investigating Casemate 4 where he had a personal experience where the light of a window was blocked by something. We quickly ruled out our shadows because I was not in the room nor was he moving. While trying to see what it could be, we were joined by some of the boys who were asking questions about our equipment. 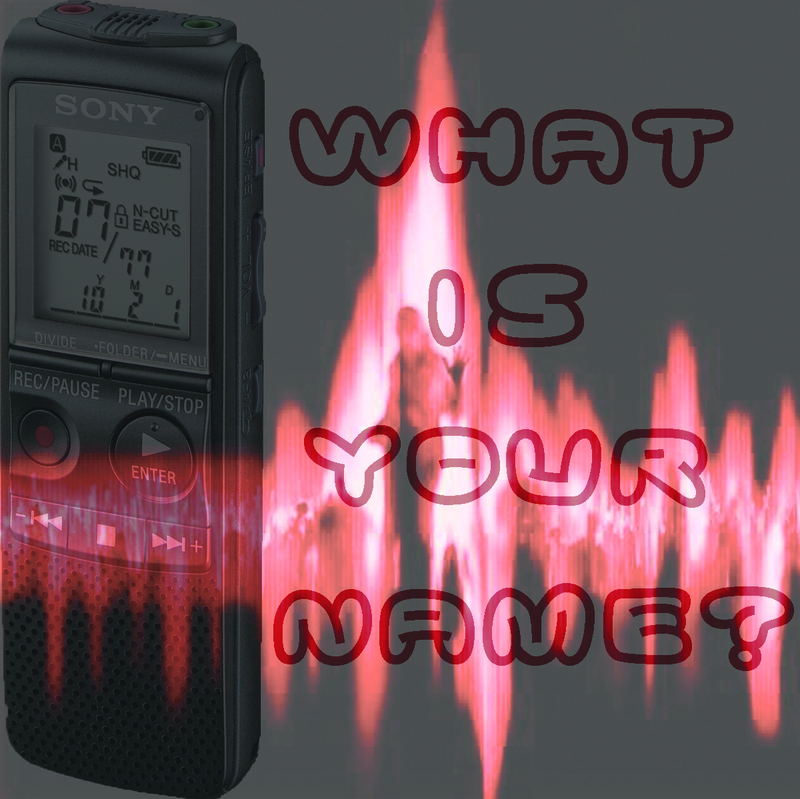 The following EVPs or Electronic Voice Phenomimums were captured during this conversation. During the my May visit to For Mifflin, I also investigated the Torpedo Room. While there everything seemed to be quiet. 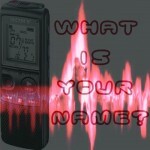 However, once I reviewed the audio, I found the following EVP. My fellow investigators and I started the evening at the location of the Castner family, we started to ask questions about their lives and the day they were murdered. A small piece of grass was moving between the two right stones. There wasn’t a breeze around and it was just a single piece of grass which moved. 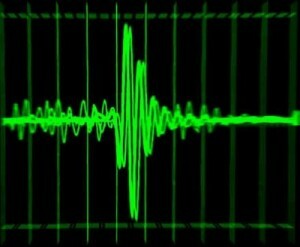 As soon as Jasmine observed the movement had stopped, two of our recorders captured the following EVPs. During an fundraiser investigation at a historical building in Warren County, I was on the first floor asking questions about the organ which is on display there. 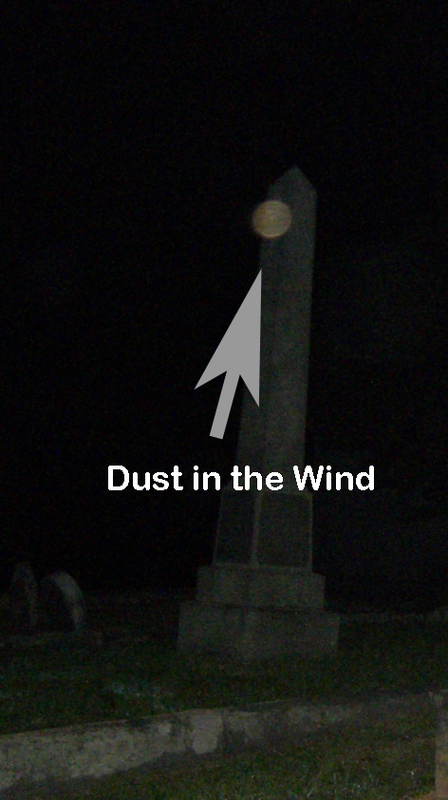 I captured an unexplained whistle which I did not hear during that evening. To add validity to this, I also captured this whistle on my video recorder. The Merchant Drovers Tavern museum was four floors for us to investigate. On the fourth floor, we explored the room where all the period costumes were stored. My fellow investigator, Tom was the last to enter the room as I lead the way. He was telling us about a previous experience in the room. After he finished his story, I heard a male voice say something. You can also hear me reacting to it by asking Tom if he had just said something. He hadn’t. Upon review, another man’s voice was captured adding validity to the experience. As the year comes to a close, I wish all of you a Happy and Safe New Year. 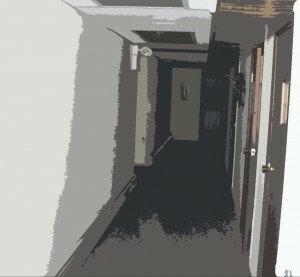 Here’s to great Paranormal Investigations in 2012! 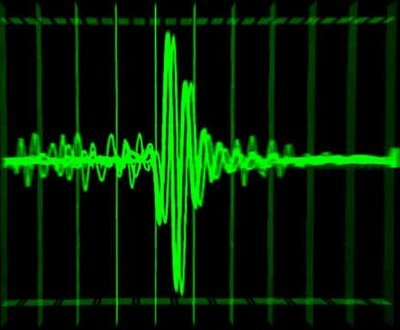 People who experience or investigate the paranormal know that there is the good, the bad and the ugly. The bad and the ugly I refer to is the angry and evil entities which are around. It took me many years to recognize that there are many differences between the bad and the ugly. When I was younger I didn’t understand the difference so I lumped them all together in the same scary category. However, over the years of research and investigations, I have learned to differentiate between the two. There is one particular entity I have dealt with most of my life. When I was younger, he was confrontational and challenging. I misread his “get out” attitude as the behavior of an evil being. He never harmed anyone, however he gave you an unwelcoming feeling until you vacated his space. As I learned more about my personal experiences with the paranormal I was given an insight that this person wasn’t evil. He just wanted to be left alone and to keep everyone out of his space. A few years ago, I learned to talk to him as I entered his space. I announced who I was, what my intentions were and how long I would be there. This helped ease the confrontational attitude he had. For example, some friends and I created a haunted house as a fundraiser for the church. Part of the exhibit was in his area including the hallway and several classrooms. Before setting up, I explained what we were doing and why we were doing it. That evening I felt him watching the transformation of the regular hallway and rooms into a prison cells and vampires lair. During the entire event, I was left by myself in the last room of the haunted house. Although I had been on investigations before, this was different because this was someone I grew up being afraid of. I was happy that I was not harassed by him once throughout the evening, although I sensed him checking in on his space. Since then, I have announced myself and my intentions to him. This appeases him because when I do this, I don’t get challenged. He just quietly watches as I go about my business. I have been a member of my church since I was two. It was also the site of one of my first experiences with the paranormal. She is a young girl and around nine years old and wears a white Victorian nightgown. She resides in the first hallway as you enter the basement of the church. Over the years, I was given her name, Cassandra. I was never afraid of her, I thought of her as my imaginary friend. I knew adults couldn’t see her. Even today, she is shy so only a few people have had the pleasure of interacting with her. In 2010, I was granted permission by the Reverend to conduct an investigation in the church. This was my chance to go in and get definitive proof of things that I knew in my heart existed. On August 14, 2010, with all my equipment checked and charged, I set out for the church with Dave, my skeptic. Upon our arrival, we walked around to map out the location and hot spots. It was during this walk thru that I caught two EVPs. One was not audible; the second was a man telling us to get out. Around 7:30 Matt, our third investigator arrived. With a brief walk thru, we turned lights out to begin our investigation. 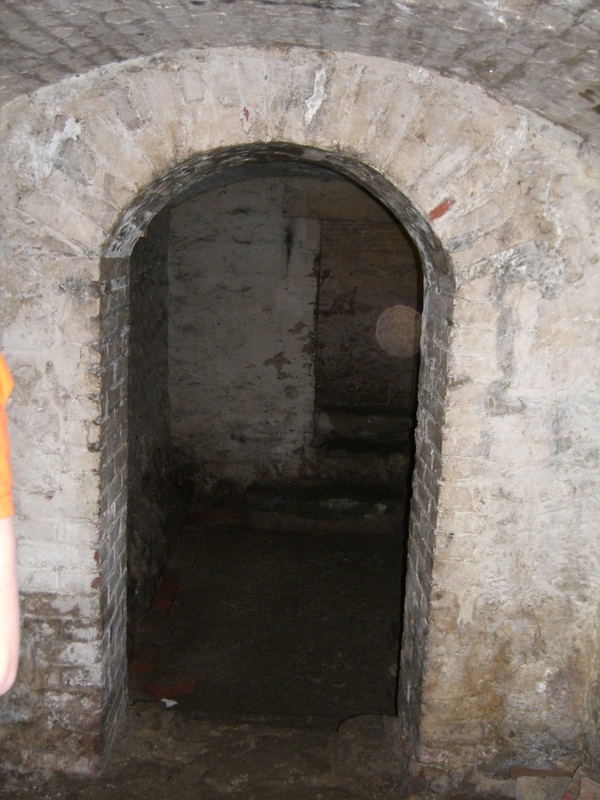 We entered the first corridor in the basement. Dave and I sat one end and Matt moved down to the other end. Matt began to make contact with Cassandra. We were approximately ten minutes into the session when we heard Matt say hi to get a response. Much to our amazement, we heard a little girl’s voice respond back to him. For me this was immediate confirmation that she existed. Even Dave heard it and could not find a way to debunk it. I have added all of my EVPs to the evidence page so that you can review. Something else was captured during this session. I also captured two orbs with my night vision camcorder; however, the validity of them is being questioned because there was a fly in the hallway the night of the investigation. I have asked many people who investigate to share their opinions. Some people will tell you that the first is a bug and the second is an orb. Others will tell you the opposite. Some will say both are orbs; while others will say that both are bugs. I have added the clip to the evidence page so that you can see and judge for yourself.